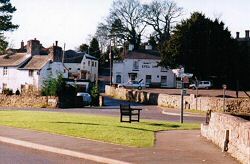 The village of Trefonen is 3 miles south of the Border town of Oswestry. It has a village shop and post office (¼ mile), public house- serving food - and a church. The location, in the peaceful countryside, provides an ideal centre from which to explore this beautiful part of North Shropshire as well as giving an opportunity to visit the bigger towns and cities close by. 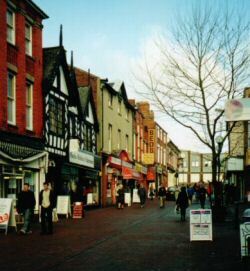 Oswestry is a market town offering every facility including banks, chemists, also many individual local food shops and supermarkets. There are many eating houses offering a diverse variety of fare from pub food to haute cuisine. The Heritage Centre - close to the parish church of St. Oswald - has exhibitions displayed on the first floor, a café and Tourist Information office, on the ground floor. The countryside around Trefonen has a network of footpaths including the long distance Offa's Dyke trail which passes through the village. The Tourist office, situated on the A5 is an excellent source of local and regional information and offers a booking service for theatres, concerts etc.